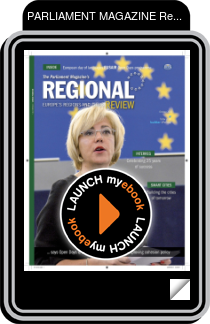 European regional policy Commissioner Corina Crețu graces the cover of this year’s Regional Review, giving us a preview of Open Days 2015. The conference’s slogan is, “Europe’s regions and cities: partners for investment and growth”. Creu explains that, “this year’s discussions will build on the reformed cohesion policy, which will unlock up to €351.8bn over the next few years”. We also have Committee of the Regions President Markku Markkula writing about the need for “local leaders who can inspire change, reinvigorate our economies and promote innovation”. And MEP Lambert van Nistelrooij, who will speak at this year’s Open Days conference, talks about how city and regional policymakers can work together to create ‘smart cities’.